Bjorg Terrines Végétales - Vegan Pâté! Vegan food in Paris: Bjorg organic, vegan pâté! Wander the aisles of any French supermarket and eventually you’ll arrive at the bio (organic) section. Here, between the agave nectar and the dark chocolate-covered rice cakes, you’ll find the vegan pâtés, or, as they’re often called, terrines végétales. Sold in little cans with pull-top lids, they’re perfect for picnics and on-the-go eating, since they don’t have to be refrigerated until after they’re opened, plus they’re spreadable–in other words, ideal for herbivores traveling in the land of baguettes. 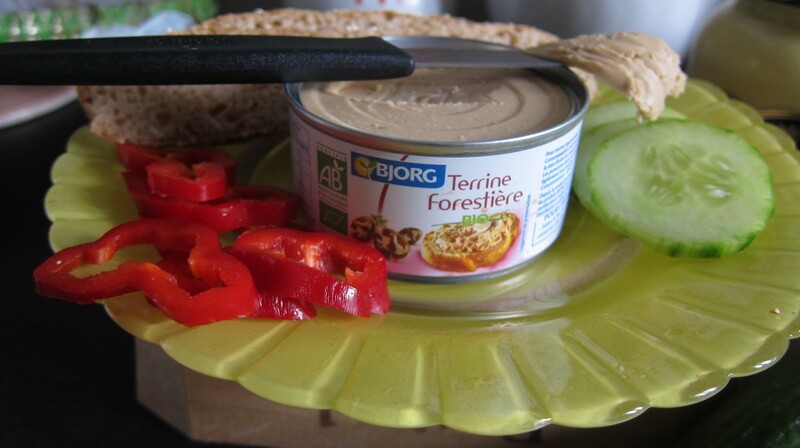 The Forestiere flavor is the most popular of Bjorg’s five delicious options. Savory, rich, and—dare we say it—a little bit meaty, it gets its umami flavor from shiitake mushrooms and nutritional yeast. The brand is currently transitioning away from palm oil, which is great news for people concerned about tropical deforestation and the destruction of the orangutan’s habitat. Other flavors that have already made the switch over to sunflower oil include Aubergine (eggplant), Provençal (Mediterranean vegetable), and Chardonnay. 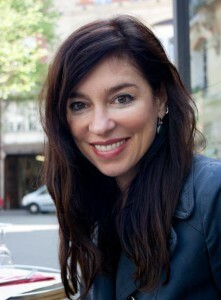 Miam! At your next cocktail party, try serving this tasty spread on toasted slices of crusty French bread and see if your omnivorous friends aren’t fooled into thinking they’re eating “real” pâté. No party plans in the near future? The diminutive packaging translates to extreme portability, so you might consider tucking a can or two into your carry-on bag before your next flight to ensure you don’t go hungry on your voyage, or stashing some at the office for emergency snack breaks.